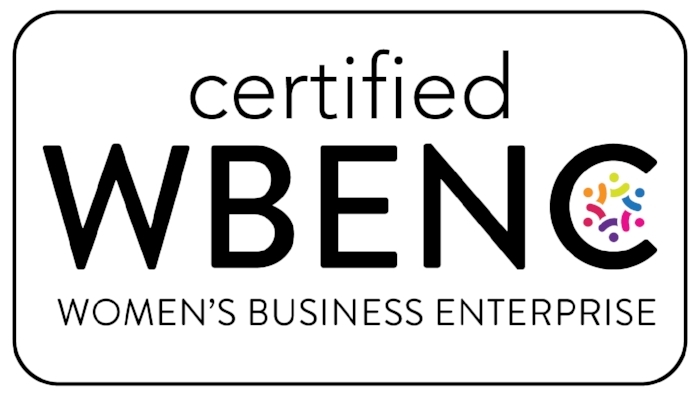 Today, Uplink Legal LLC received WBE certification from WBENC, the nation's largest third party certifier of women-owned businesses. Diversity (and particularly the promotion of women in law and the wireless industry) is one of the firm's core values, and we look forward to using the certification to form working relationships with clients who likewise value diversity. Minimizing Risk in Wireless Technology-Related Real Estate Matters: How Much Due Diligence is Really Due? Risk is inherently necessary to any business venture. Often, crazy risks pay off big-time and the risk takers end up in quotes such as our graphic above. But on the flip side, if a giant risk is taken and doesn’t pay off, the end result can be devastating to a company, project, or decision-making executive (devastating, that is, apart from creating potential fodder for later inspirational quotes about repeated failures being the foundation for achieving success). In the context of real estate transactions, risk is present on multiple levels. The mere decision to proceed with a project or deal is a risk at the macro level. Business and legal terms of the deal present various decision-making points regarding risks along the way. But the focus of this post is on a type of risk specific to real estate matters: risk which can be identified and ameliorated by conducting title due diligence and taking curative action. In a standard real estate purchase and sale transaction, title insurance requirements dictate safeguards protecting against title-related risks. But in wireless technology-related real estate deals, while a minimum standard for some types of due diligence is dictated by applicable laws (for example, pre-installation environmental due diligence requirements), title due diligence is typically dictated by the degree to which the parties have concern over identifying and resolving potential issues. The parties to a wireless technology-related lease or license thus have a great deal of latitude in deciding how much title due diligence to conduct and when to take curative or protective actions regarding underlying risks relating to the subject property, such as ground leases, multi-layered interests, or restrictive covenants. At a minimum, anyone proposing to enter into an agreement to install wireless infrastructure must verify that the other party (whom we’ll call the “grantor” here) has a valid interest in the subject property, both in terms of authority to grant permission for wireless installations and in terms of duration of the grantor’s interest. Is there a ground lease in effect? If so, does it require property owner consent for the deal you’re proposing or for the installations you desire to place on the property? And what is the length of the grantor’s interest? Do you really want to sign a lease with a grantor who has only a year left on his lease with the fee simple property owner if your goal is to establish a long-term infrastructure? (Probably not without securing a non-disturbance agreement from the fee simple owner.) If a mortgage encumbers the property, is lender consent necessary? Do you wish to pursue a subordination and non-disturbance agreement with the lender? And are there any specific concerns relating to the identity of the property owner? For example, condominiums and non-profits are subject to declarations and bylaws, and failure to follow the proper procedures can lead to legal exposure. In particular, condominiums tend to have complex legal requirements warranting heightened due diligence, whether established by a declaration or dictated by state statute (or both). I’ve advised several clients on litigation involving wireless installations on condominium rooftops. There are various permutations of the “antennas on the condo building” dispute (whereby unit owners sue a developer who attempted to reserve rooftop rights, or unit owners sue the board that authorized a wireless lease for breach of fiduciary duty). If more thorough title due diligence had been pursued at the outset, my clients would have been far less likely to end up in litigation. If you’re contemplating an installation in the public right-of-way, are you aware of the multiple levels of regulations which might affect your plans and liability? In planned developments, there are often declarations placing restrictions on use of the property, making roads private (meaning you might need an easement just to access your proposed site, and in the small cell context, you can’t rely on the same “use of the right of way” rights as on a public street). In the small cell context, use of the right of way can vary greatly between states and localities, and you should investigate the local requirements before making any plans. On the landowner (or property tenant serving as the grantor in a wireless lease or license) and infrastructure provider (tower company, rooftop site manager, or DAS/small cell turnkey or neutral host provider) side, even if you are not the party most likely to be affected by a title issue, you nonetheless need to examine your deal to see if due diligence should be conducted for your protection. Are you making any covenants about title to the property? Granting a right of quiet enjoyment? Granting a potentially lengthy term? Guaranteeing uninterrupted service or 24/7 access rights? Did you (or one of your predecessors) make any agreements that would give a third party any right to step in and object to the deal (any exclusives granted, covenants or restrictions, lender approvals required?). The above queries are by no means exhaustive, but illustrate some of the title-related due diligence issues that might affect a wireless lease or license transaction. Whether or not a client elects to proceed with the due diligence, and to what degree the client decides to address any issues identified in the course of the due diligence, are hybrid legal and business decisions. I’m here to identify legal issues but more so to advise and help my clients achieve their business goals. So once I’ve made a recommendation or given some options to my client, the client must decide what its risk tolerance is. My recommended method of assessing any risk is to view it on a sliding scale based on both severity of the risk and likelihood of the “worst case scenario” materializing. In other words, if a particular risk is relatively likely to occur but the ramifications are minimal or easily correctable, a client might elect to assume the risk. But on the flip side, if a risk is remote yet would be extremely damaging to the client’s business in the “worst case scenario”, the client might elect to spend extra time and money to ameliorate the risk up front. And apart from the general risk tolerance sliding scale, a client’s approach might be adjusted based on the nature of a risk. For some clients, financial consequences, operational losses, and legal risks (or whatever other classifications a client makes for its business concerns) could each be treated distinctly. For example, a client might be willing to take great risks financially, but exercise extreme caution with respect to risks that could lead to legal exposure. Ultimately, each client will adopt a risk tolerance strategy in line with its overall business approach. Some carriers and infrastructure providers forge ahead with little to no due diligence whatsoever and calculate the cost of correcting back-end issues into their business plans. Others take a more conservative approach and attempt to address any risk which could ultimately impact their network on the front end. Neither approach is right or wrong, but if you’re not at least cognizant of the concept of due diligence in wireless transactions, the consequences could be surprising and costly.